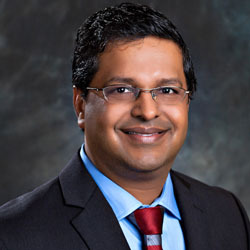 Dr. Naveen is the CEO and Founder of HealthKOS. As Innovator in ‘Patient Centric Health Solutions,’ Dr, Goel’s goal is to help healthcare organizations provide quality care while reducing costs. Dr. Goel is an interventional nephrologist with expertise in access care for dialysis patients. Early on, Dr. Goel understood the unsustainable Healthcare waste trajectory. He began to do his part to impact the community creating change through saving a significant amount of cost by reducing ‘dialysis access-related’ admissions to the hospital. In addition to the creations and development of HealthKOS, Dr. Goel working with the government of developing countries to enable them in providing quality care to their people especially underprivileged population in the rural area leveraging HealthKOS technology. 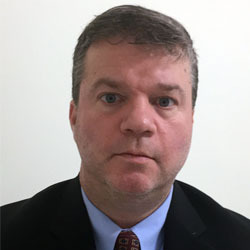 His areas of expertise include Population Health, Digital health, Health IT, Connected Care, Telehealth or Telemedicine, Remote Monitoring, Medication management, and compliance. 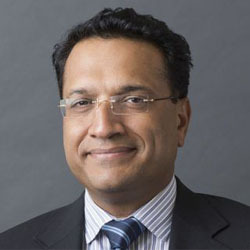 Sanjay Deo is a Founder and COO of HealthKOS. 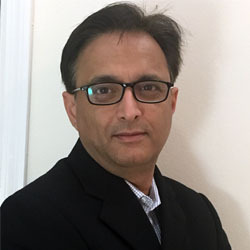 Sanjay Deo has over 25 years of experience with Healthcare operations, process, cybersecurity and compliance. Sanjay brings a vast realm of experience and success in the areas of leadership oversight of all aspects of projects, including, but not limited to, project initiation, strategy plans, Impact Analysis, scope and charter development, build needs and integration testing, training, command center operations, optimization, adoption and sustainment. Sanjay maintains current day, hands on, technical expertise as well and knowledge of and promotion of best practice, core measure and quality care initiatives. Sanjay currently serves on the Board of the South Florida CIO Council, he is also Co-Chairs the South Florida CISO Forum. 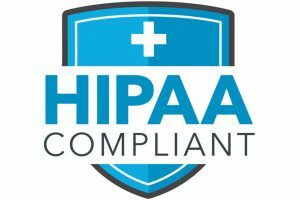 Sanjay is part of the HIMSS’ Privacy and Security Committee focused on Risk Assessment in the Healthcare Industry. Sanjay is a frequent speaker on IT Governance and Cybersecurity at national conferences. 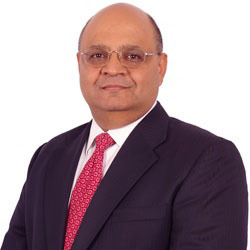 Sanjay holds a Master's degree in Computer Science from Texas A&M University, and is a Certified Information Systems Auditor (CISA) accredited by ISACA, Certified Information Systems Security Professional (CISSP) and Healthcare Information Security and Privacy Practitioner (HCISPP). Dr. Anjali Bhasin has over 25 years of experience in health care. Dr. Bhasin brings her vast experience from all aspects of healthcare, from teaching young medical students to being patron of several healthcare organizations. 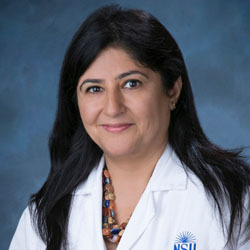 Dr Bhasin is an internist and teaching faculty at Nova Southeastern University Osteopathic medical school. She is also the Director of Medical Education / Clinical Assistant Dean at Broward General Hospital, overseeing several residency and fellowship training programs. Dr. Bhasin is a physician leader who graduated from physician leadership academy sponsored by Florida Medical Association. Dr Bhasin is the board of directors of Broward County Medical Association and the Executive board member of Indian Physicians of South Florida. She believes in changing the way healthcare gets practiced today and providing 21st-century healthcare access to third world countries using Healthcare technologies. Brian Goldstein is VP of Sales and Business Development. He is an established executive with 20+ years of experience and successes in BioPharma and Technology in the areas of Sales, Marketing, Commercial Development, and Innovation during his tenure at Pfizer, AstraZeneca and consulting. He is seen as a performance-driven leader with broad-based commercial experience and deep understanding of US & global healthcare systems, Physicians and Patients. During his career Brian managed several multi billion dollar product portfolios as well as local and regional Sales, Marketing and BD teams. He is originally from South Florida, but has had the opportunity to live across the US, Europe and Asia during his professional career. Jay Kaul is Senior VP of Product Development and Chief Technology Officer. He is a rising technology leader noted for driving business innovation, applications, networking, operations, and security leadership to accelerate business growth to gain a competitive edge. 20+ years experience with management information systems, including eighteen years specifically focused on healthcare information systems. Software development lifecycle experience ranging from gathering client requirements to final client acceptance. Worked in AGILE methodology to deliver development projects. System integration and interoperability, EHR integration, resolving difficult integration and implementation challenges, utilizing technology to solve complex business problems. Expertise with a complete lifecycle of patient process from patient management, ancillaries (like orders, Pharmacy, Radiology, Physician Billing systems etc.). Krishan possesses more than 20 years of experience in Assurance, Accounting, Tax, and Business Consulting. Previously he has worked for Deloitte and Touche as Audit Senior and as Sr. Manager for Morrison, Brown, Argiz, and Farrah, CPA South Florida Largest accounting firm. He has worked for Lennar Homebuilders (Fortune 100 Company) as Sr. Manager. Krishan has also worked as CFO for $100M+ Company. He has vast experience working with complex accounting, tax, and business consulting issues. His life experience includes complex SEC filings, Financial restatements of public companies, M&A Assistance, assistance on various complex accounting issues of Public Companies, Organizational restructuring, financing and turnaround for private companies. Krishan Garg, CPA is a a member of AICPA and CGMA..